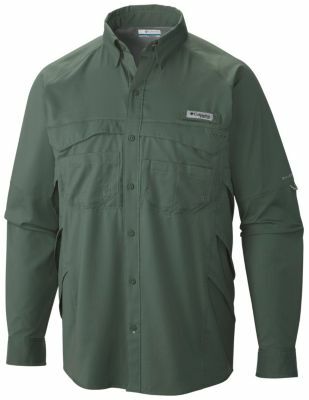 Great shirt for outdoor pursuits in hot weather — the lightweight fabric and numerous air vents promote cooling, but the look is a bit odd if used as streetwear. 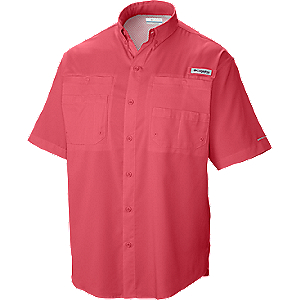 This shirt could be called the Columbia Tamiami "part 2", as it is very similar to Columbia's Tamiami shirt apart from the expanded air vent layout on the Airgill. 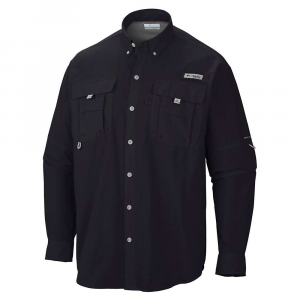 The Tamiami and Airgill have the same cut and and style and are made of the exact same material, which is indeed very lightweight, soft, quick drying, and ideally suited to hot weather use. The cut is similarly quite loose — I am 6'2", 205 lbs, 17 inch sleeves, and I actually sized down on the Airgill from my regular XL to a Large. It's still plenty big. The sleeves on this, like the Tamiami, are really long and tend to ride a little lower than I prefer when they're in the rolled up and secured position. I like the sleeves to sit above my elbow when rolled up, so sizing down helped to accomplish this. 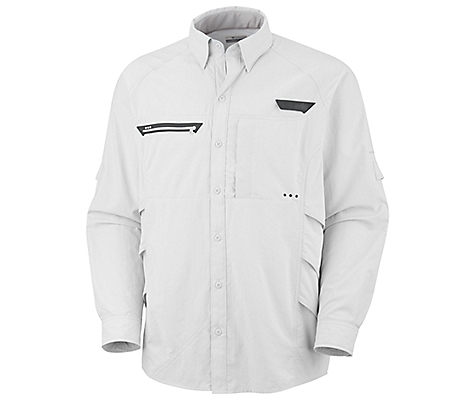 The numerous air vents on the sides and back give this shirt superior venting properties, but it is slightly odd looking for casual wear. 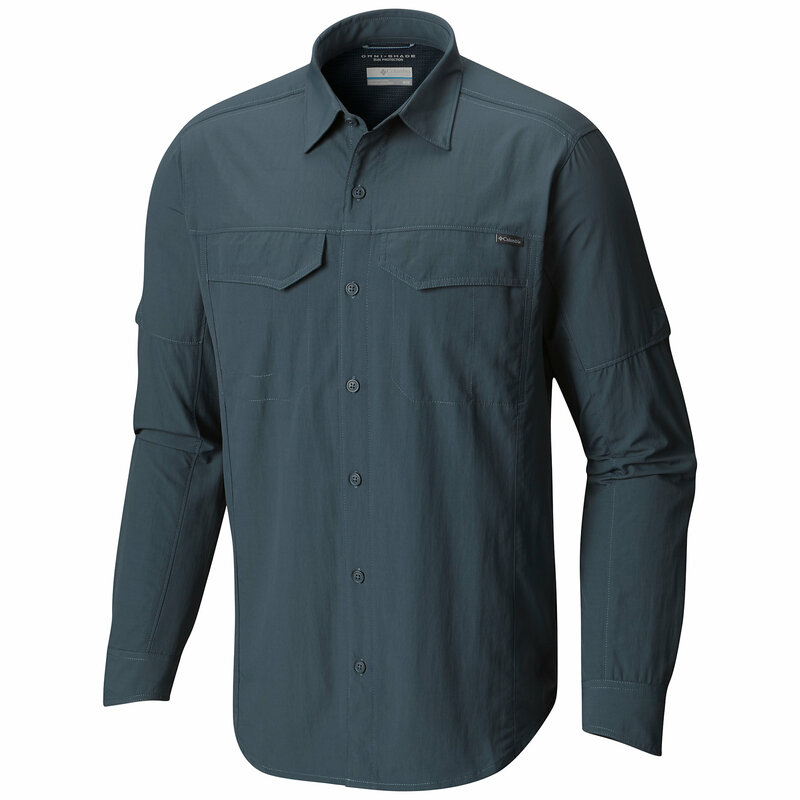 If you're in a warm climate and spend much time outdoors, this shirt with the numerous vents is a winner — super light, comfortable, and cool. 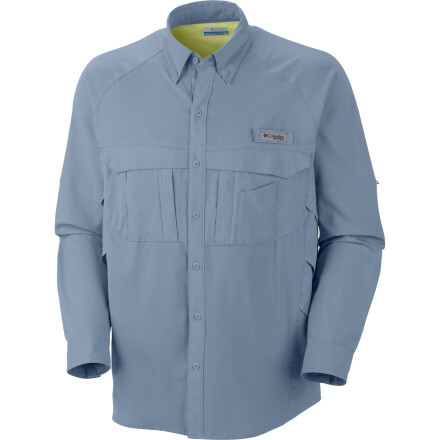 If you want something with a more versatile style that doubles as casual wear (in other words, something that doesn't look quite as odd when you're wearing it in the grocery store), go with the Tamiami with it's more subtly placed air vents. If you want maximum cooling to beat the heat, this is it. 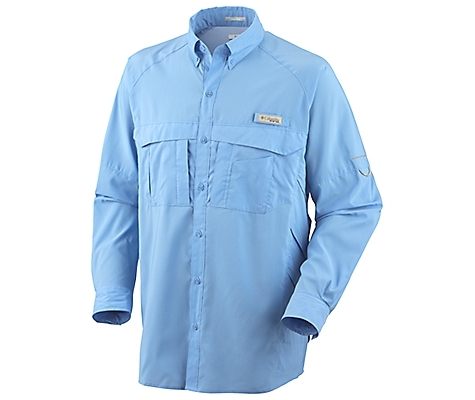 The Columbia Airgill Lite Long Sleeve Shirt is not available from the stores we monitor. It was last seen September 13, 2014	at Backcountry.com.